The one constant in my global nomad life is water: oceans, seas, lakes, rivers and even springs. 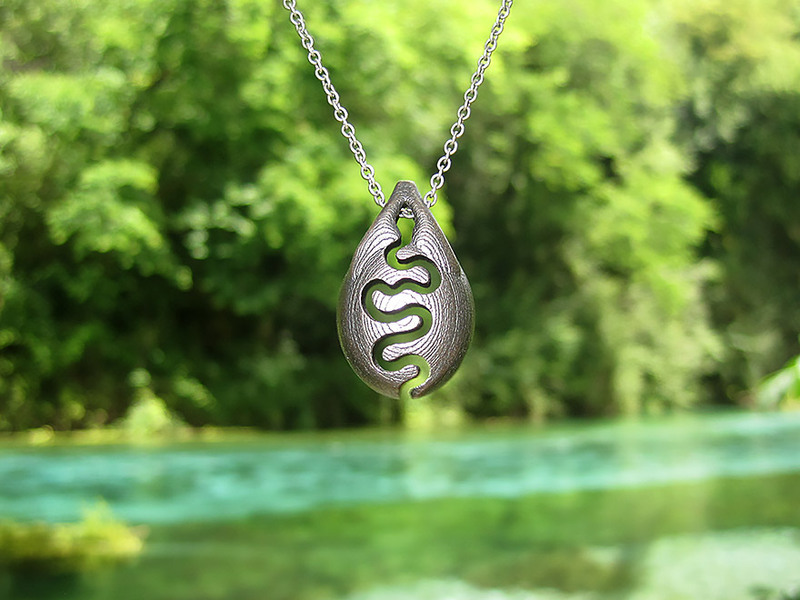 My collection of nature jewelry, ‘Waterways,’ is a manifestation of this obsession. In Sarande, Albania, I was lucky enough to wake up and spend each day overlooking the gorgeous Ionian Sea with the lush island of Corfu beckoning in the distance. Even with such a spectacular view, a bubbling pool of water inland was calling to me. Looking into the depths of The Blue Eye is mesmerizing. 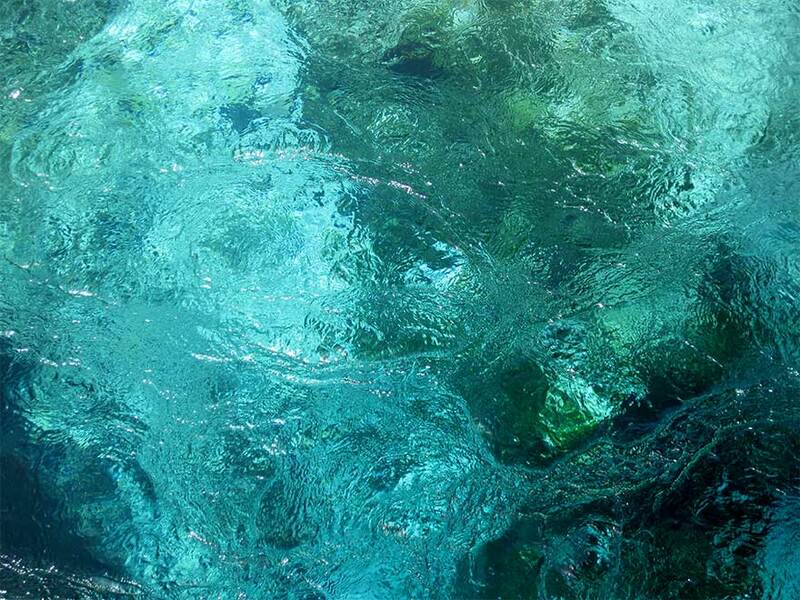 The stunningly clear and sparkling water rushes up from a spring at the base of a more than 50 meter deep pool. Constantly churning crystal blue water travels into the Bistrice River and the palette begins to change. Lush plant life crowds the banks and as the water slows, the underwater vegetation grows denser. The brilliant cerulean and azure blues of The Blue Eye give way to a vibrant mix of chartreuse and pine greens. The Blue Eye was an amazing place to bring my nature rings and nature pendants. This one magical place had all the elements expressed in the ‘Waterways’ collection. 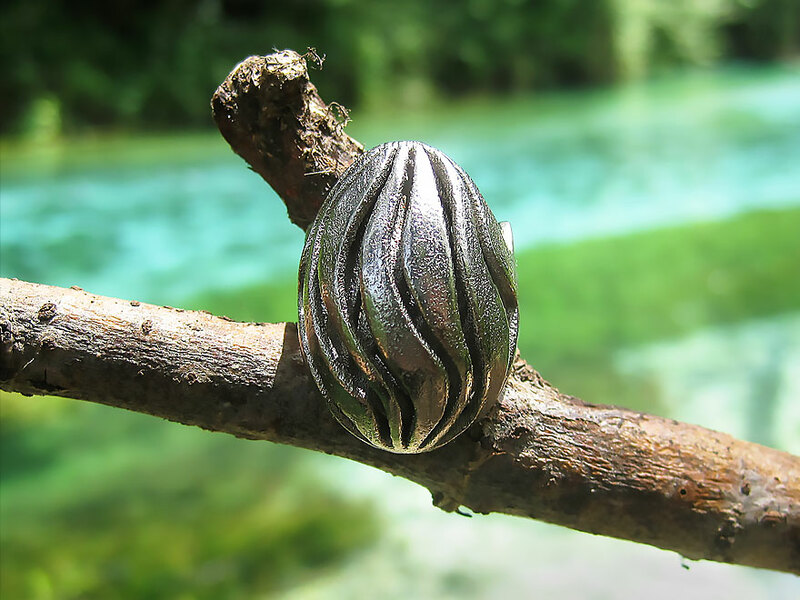 The ‘Currents’ ring perched on a branch along the shore of the Bistrice River. The powerful surge of the water from its source to its destination is embodied in the ‘Currents’ wave ring. The three layers of curving metal simulate the surface, middle and depths of moving water. The ‘Submerged’ ring (on the index finger) relates to the hidden underwater forms of the spring. The unique ring ‘Submerged’ captures the underwater beauty of rock formations. The negative space of the ‘Remains’ pendant necklace snakes elegantly through the center of the piece, mimicking the winding paths of rivers. My day at The Blue Eye was invigorating and inspirational. I can’t wait to see what new nature jewelry will come from my encounter.